Sorry for the amazing delay in getting this post up (I’m mainly apologising to myself). 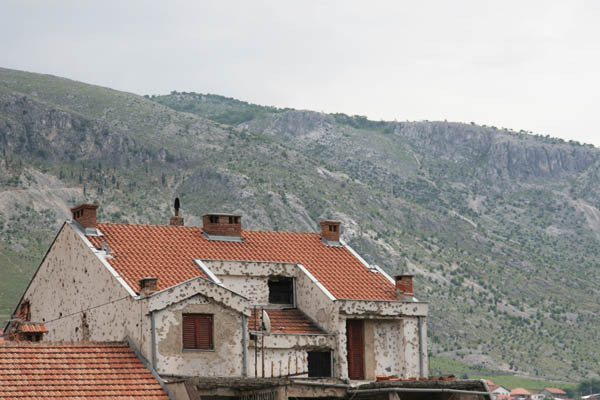 It’s been nearly one month since I was in Mostar, in the Herzegovina part of Bosnia and Herzegovina, and only now are these photos going online. 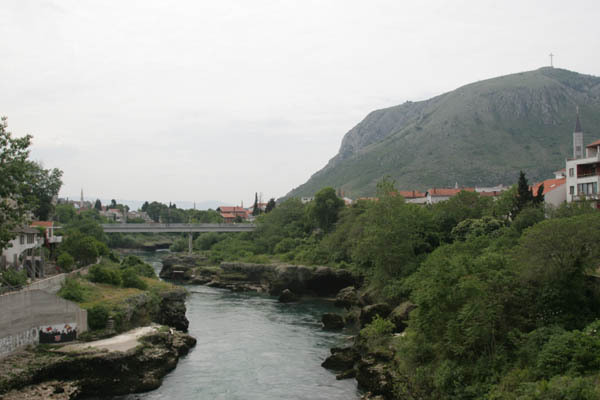 One neat thing about Mostar, for me, is that my grandmother was there more than once before the war, and crossed the original bridge. I sent her a postcard with a picture of the bridge on it, and she recognised it immediately! 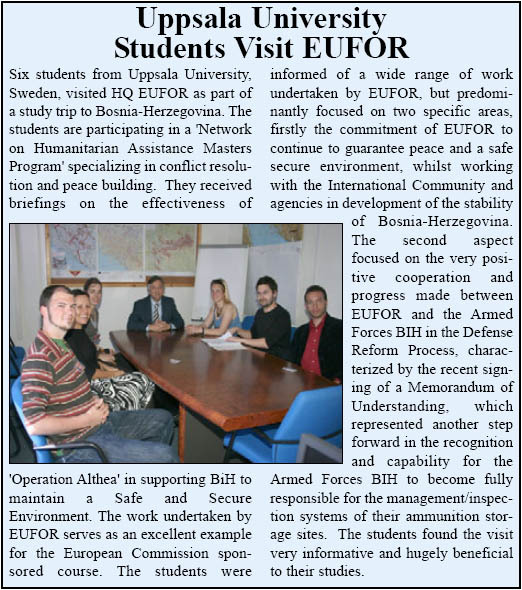 Greg decided he was tired of visiting organisations in Sarajevo so he took off to Dubrovnik on his own, while the remaining five of us visited EUFOR, ICMP, OSCE, and UNHCR on our last day in Sarajevo before catching a train to Mostar in the evening. 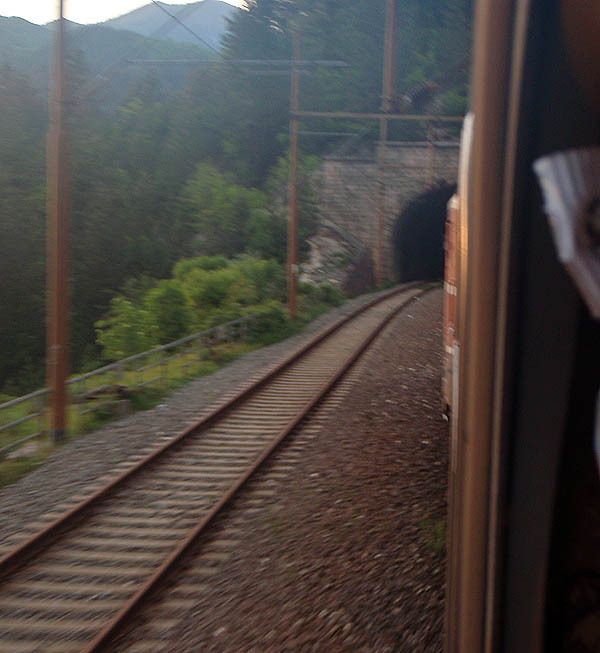 The windows of the train were filthy, so it was difficult to get good photos of the amazing scenery as we passed through the Dinaric Alps. There were heaps of amazing views, including many beautiful bridges for the rail lines. On arrival, we walked around a bit, got a nice hotel for cheap and, after a short walk about town in the dark, we all went to bed. 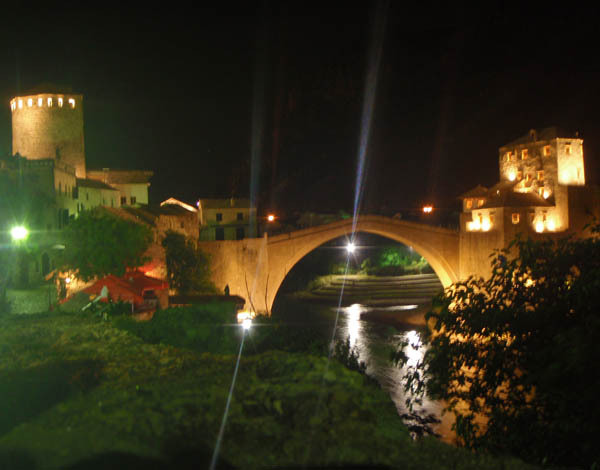 This is the famous Stari Most (Old Bridge), after which the city is named. 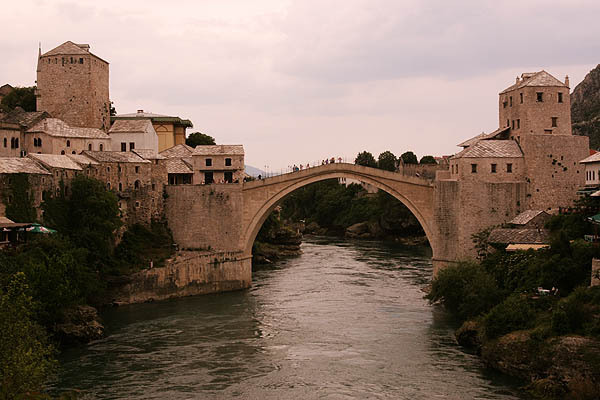 The towers on each side of the bridge, the bridge keepers, are called Mostari. More about this below. 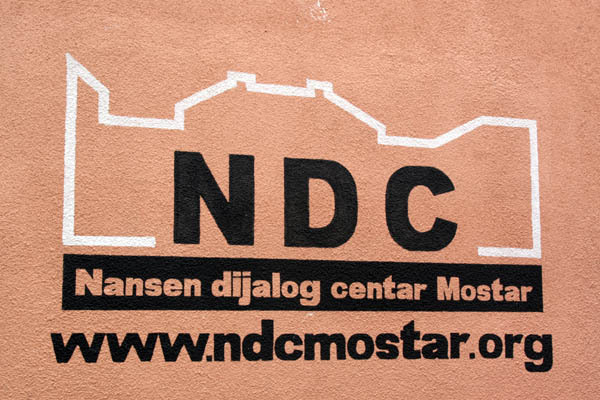 With only the short day to spend in Mostar, we headed out in the morning to meet with two organisations: The Abrašević youth centre, and the Nansen Dialogue Centre. On our walk, we crossed a different bridge with some nice views. 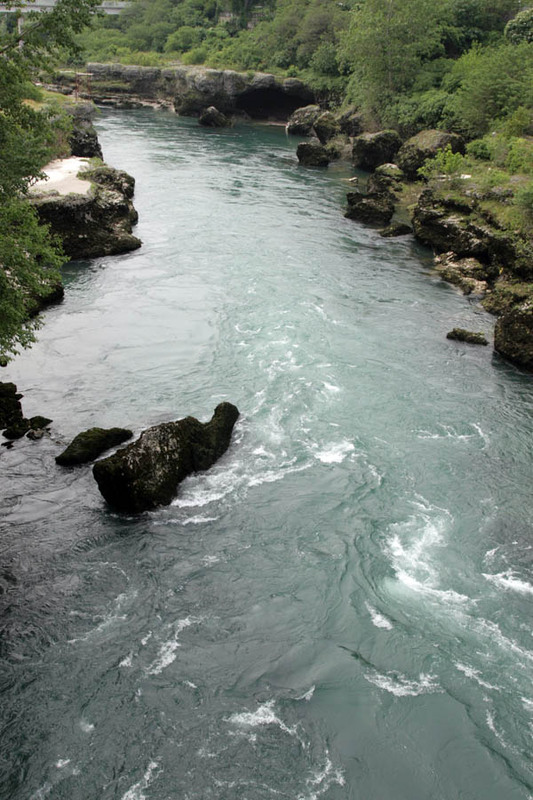 This is the Neretva river, which basically divides Mostar into the Bosniak side to the left (East) and the Croat side to the right (West). 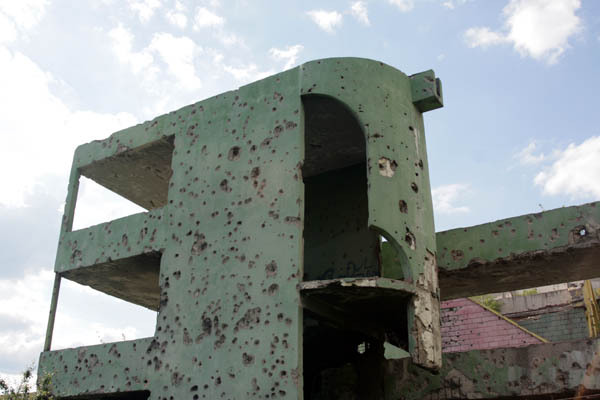 This division stems from the 1990s war, and did not exist before. 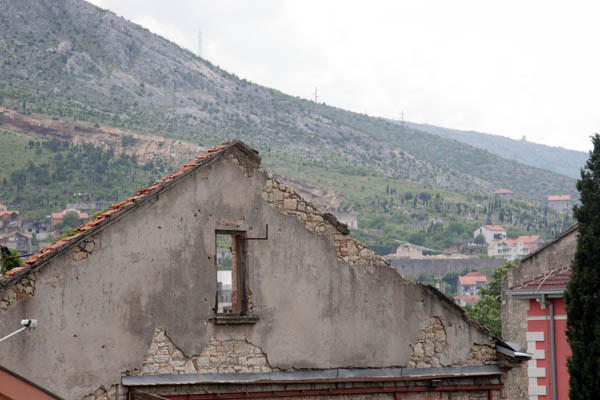 According to the gentleman at the Nansen Dialogue Centre who spoke with us at length about ongoing attempts to bring Mostar society back together, Mostar was the city with the highest number of mixed marriages in the former Yugoslavia. 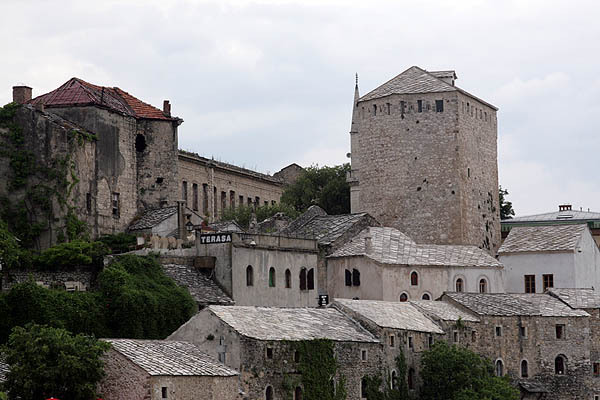 When ethnic divisions were created and used by politicians and military commanders to help them gain power, Mostar became one of the most active battle fronts in the war. 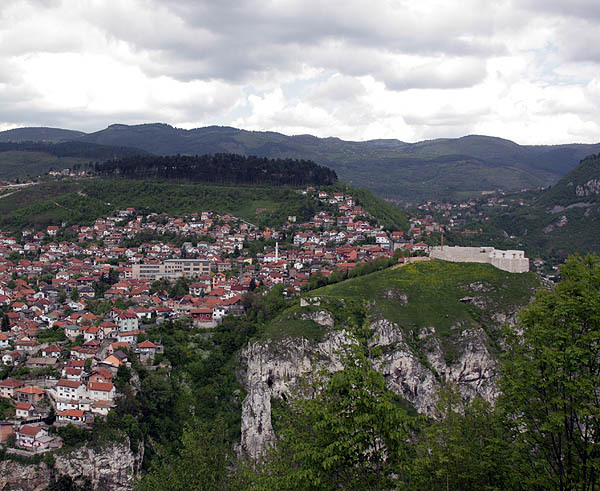 Now, twelve years after the war ended, it is safe for a Bosniak Muslim to sit and have coffee on the Croat Catholic side of the city and vice versa, but the divisions remain to a great extent. 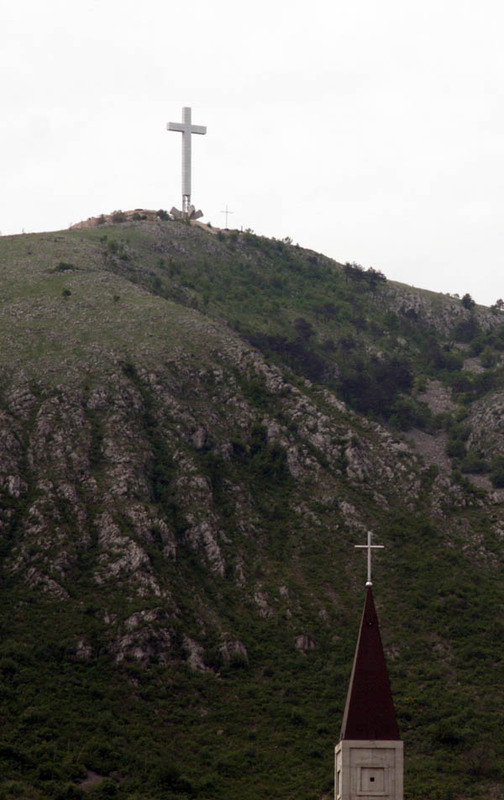 This is the Croat side, where a huge cross was built on the mountain, allegedly to rub it in the faces of the Bosniaks. 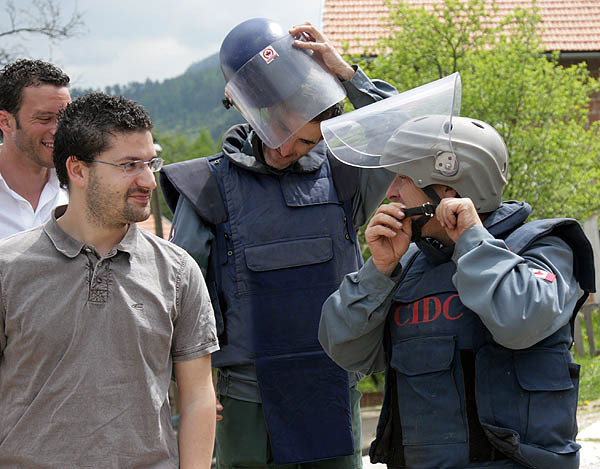 What the Abrašević youth centre and the Nansen Dialogue Centre attempt to do is to show people that they can be friends with other ethnic groups as they were for many years before the war. Both organisations seem to be making a positive impact, but the process is slow and it will likely take another generation or two before society is normal again. 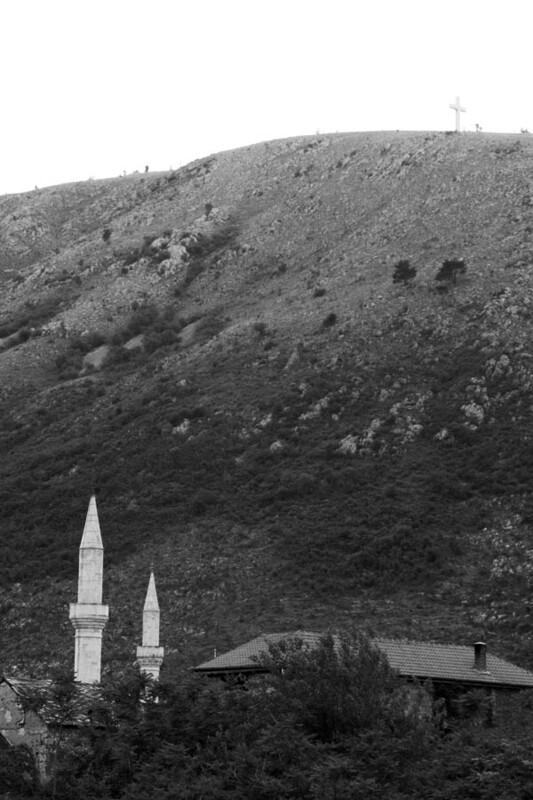 Several mosque minarets are visible on the left of the river, with the Catholic church on the right. 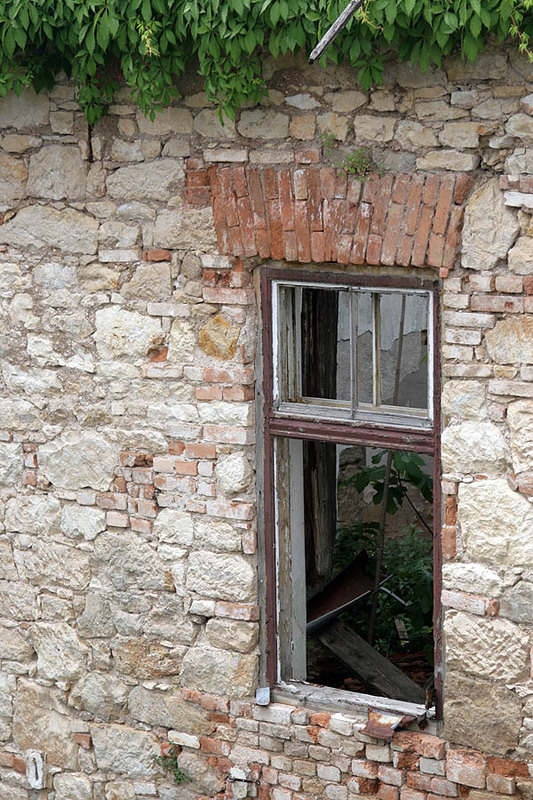 Several of the buildings around the Abrašević building are partly or completely destroyed and still not reconstructed. 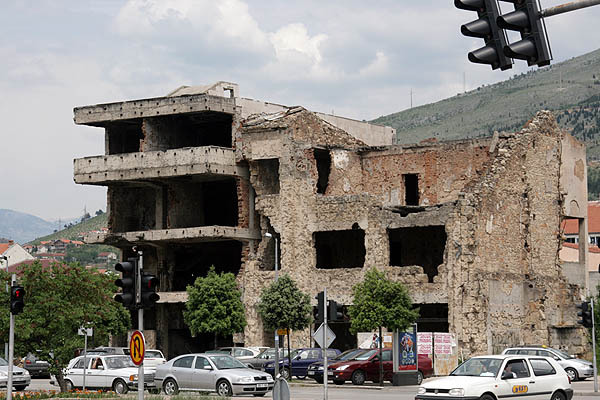 In Sarajevo, very few destroyed buildings remain in the main part of the city, whereas Mostar still has a fair number of buildings awaiting reconstruction or replacement. 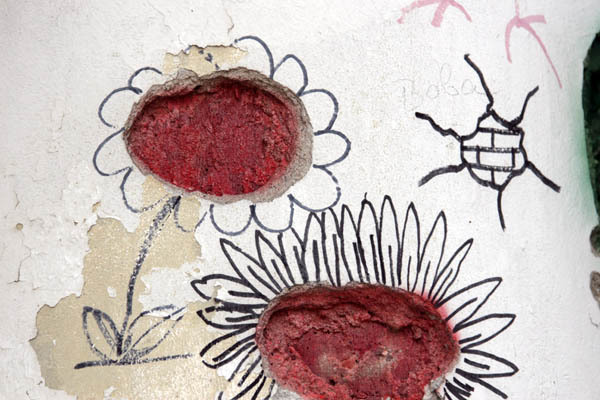 This is the logo on the wall of the Nansen Dialogue Centre. 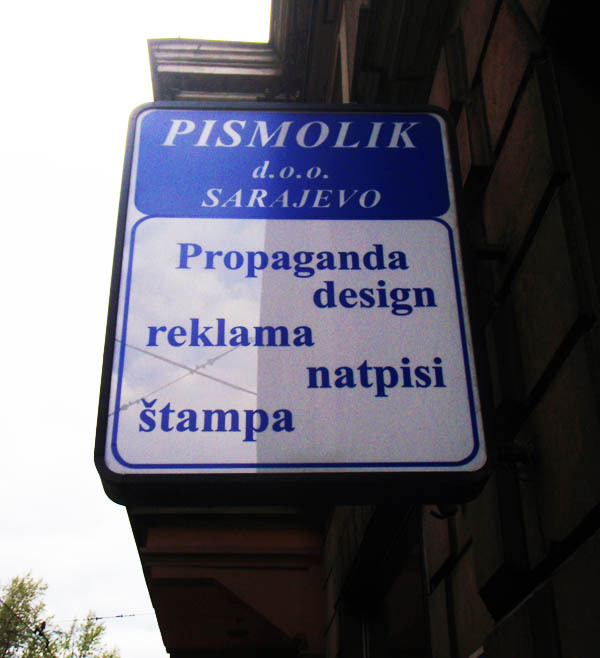 If you’re ever in Mostar, I’d recommend paying them a visit and if they have time to speak a bit about what they do, definitely take the opportunity to learn. 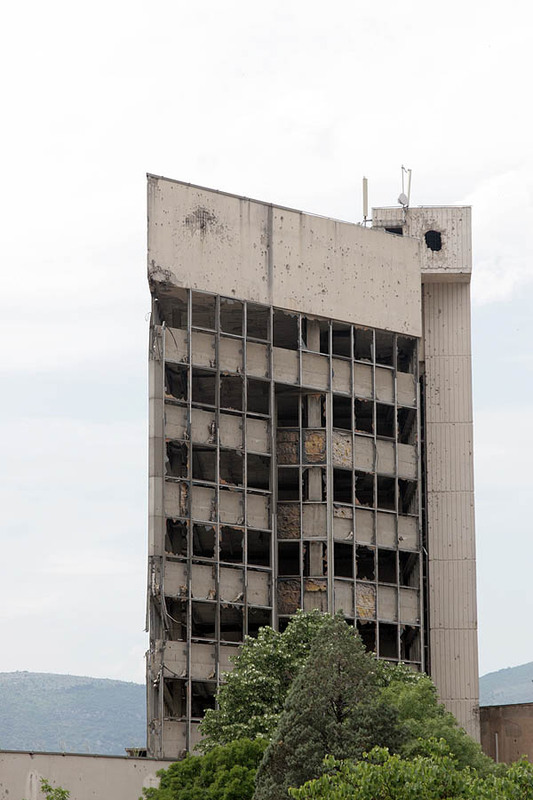 An empty building in central Mostar. 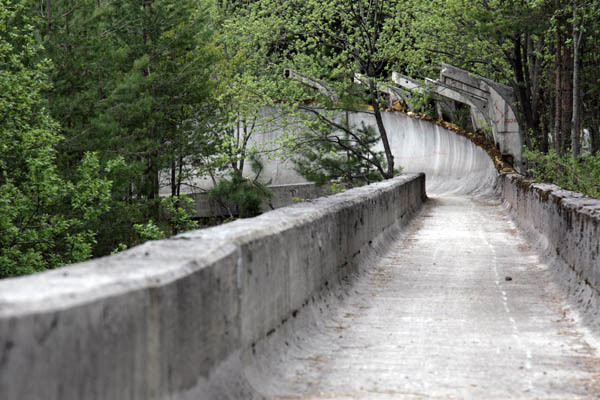 My guess is that it will be fixed or gone within 5 years maximum. 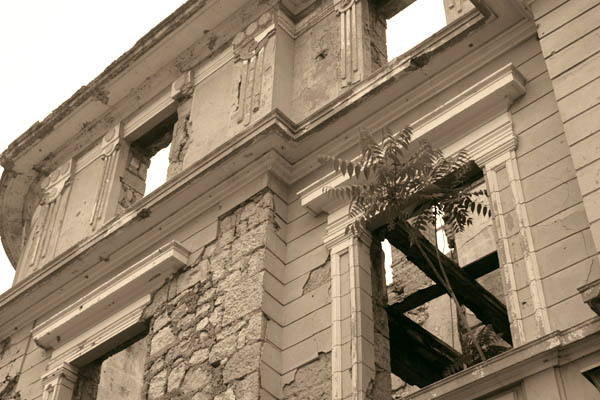 A destroyed building in the early stages of reconstruction. Many others nearby look terrific, but in old photos looked similar to this one. 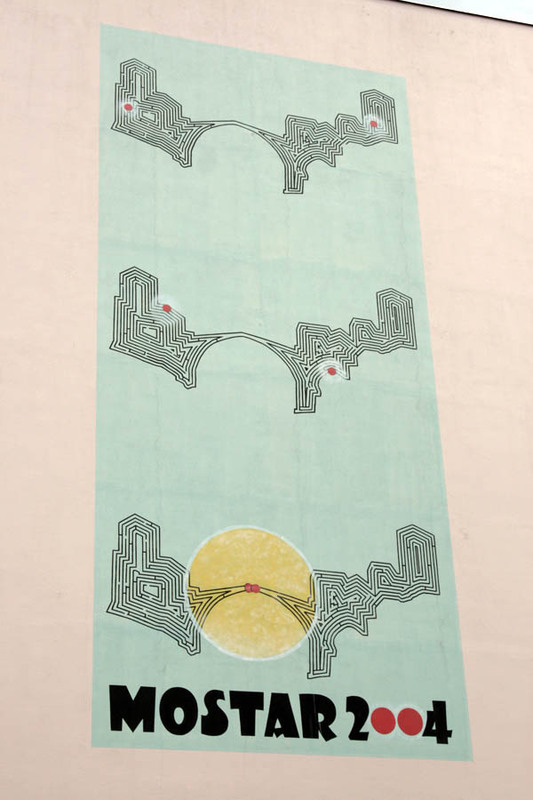 This mural was quite huge, painted on the side of a building. It shows a maze being completed by two red dots, which finally meet in the centre. The shape of the maze is the famous Old Bridge after which the city is named. 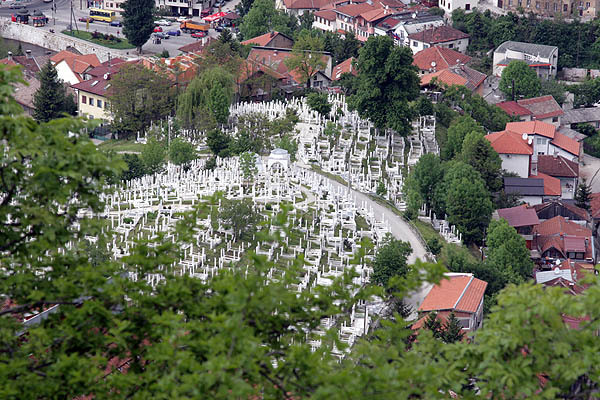 The Old Bridge was originally completed in 1566 or 1567, but was destroyed by Croat shelling on 9 November 1993. 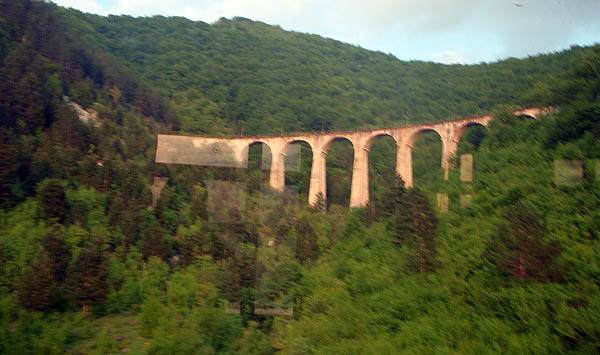 The bridge was rebuilt at a cost of 12 million euro and reopened on 23 July 2004. Originally commissioned in 1557 by Suleiman the Magnificent, the longest-ruling Sultan of the Ottoman Empire, the bridge took about 9 years to build and (according to Wikipedia which can’t always be trusted but is super convenient) has been considered among the most amazing architectural feats of the time, as there were no modern cranes or anything at that time. 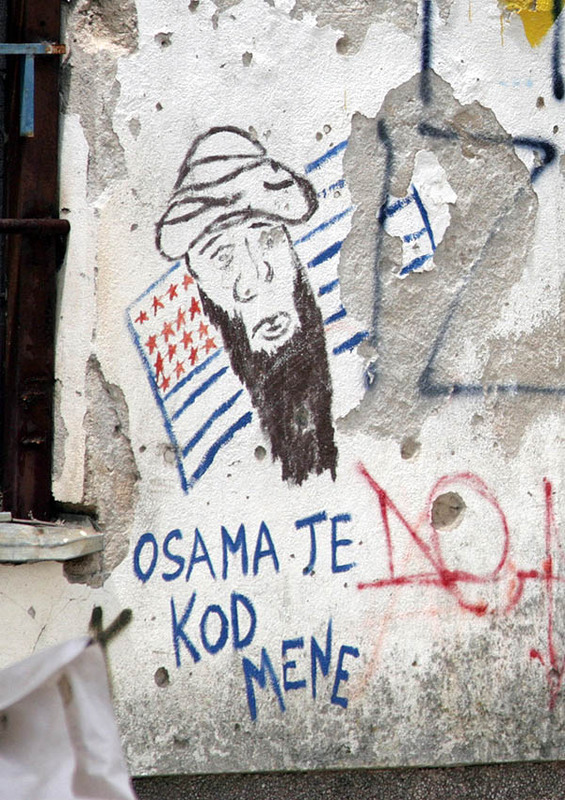 What you find at a typical Mostar souvenir shop. 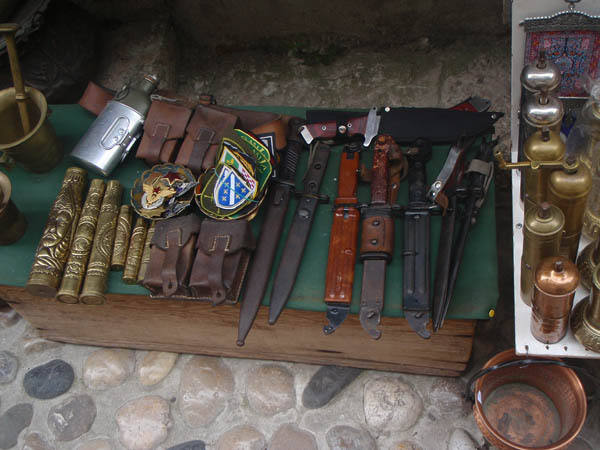 These are real weapons from the different armies of the 1990s war, patches from the uniforms, the stars from the old Yugoslav Army uniforms, and shells turned into small art trinkets. 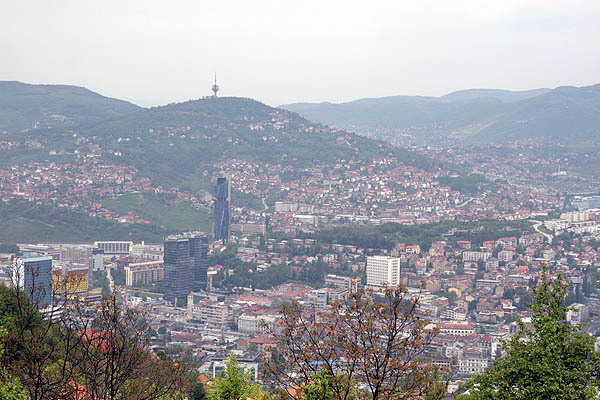 I arrived in sunny Sarajevo at 4pm on the 8th and got a cab to the hostel, where I met up with five other students from my program at Uppsala who had arrived the night before by bus from Dubrovnik. 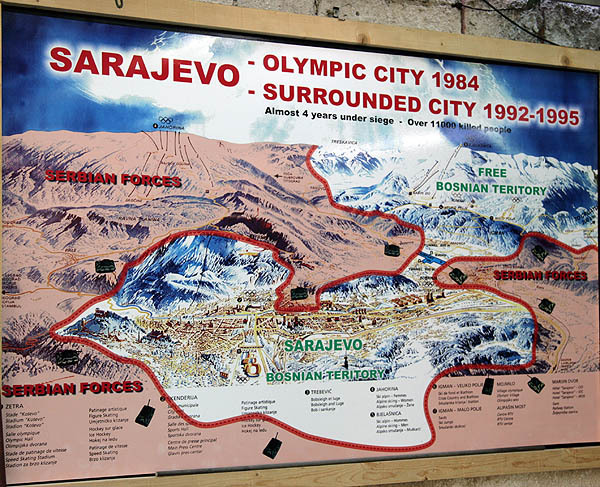 We were in Sarajevo on a self-organised study trip, to visit various organisations involved in humanitarian and development work and the reconstruction of Bosnia and Herzegovina after the wars of the 1990s. 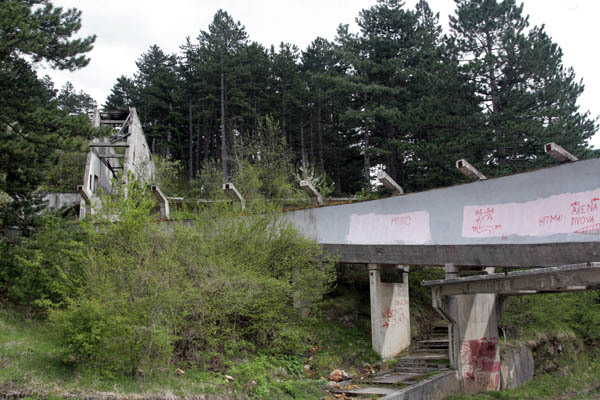 Although a lot of the photos in this post might seem to give a negative and depressing impression of Sarajevo, it’s actually a very bright (at least when it’s sunny) place, both literally and figuratively. It’s a beautiful city, small but pleasant, and there are lots of really friendly people there. 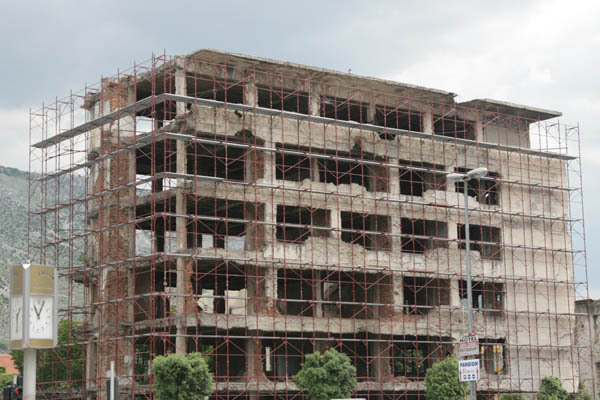 At present, no one really knows whether the country will succeed in overcoming the ethnic divisions that tore the region apart in the 90s, as politicians especially continue to try and twist things to emphasize the divisions and use them for political gain. 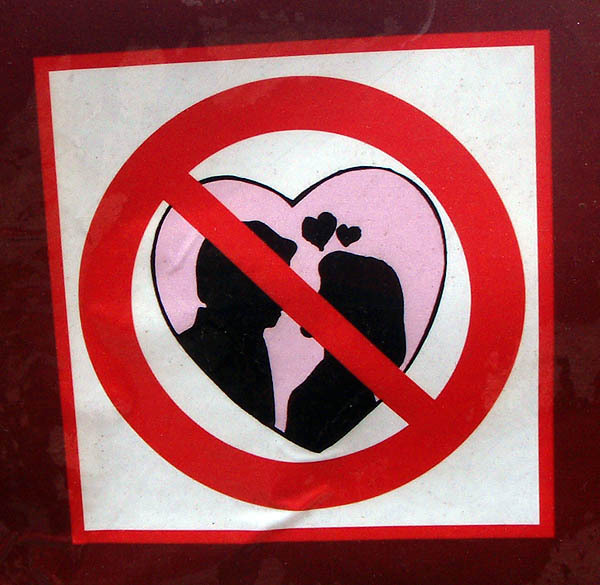 But many seem to see the same thing as the solution: joining the European Union. And the EU is putting a lot of money into the region to help the formerly war-torn area develop and eventually join the EU. Croatia is already en route to EU membership, Serbia just signed a Stabilisation and Association Agreement, and Bosnia & Herzegovina will follow soon. It’s a beautiful area of the world, and tourism is back on the upswing these days as safety for foreigners is again quite high. 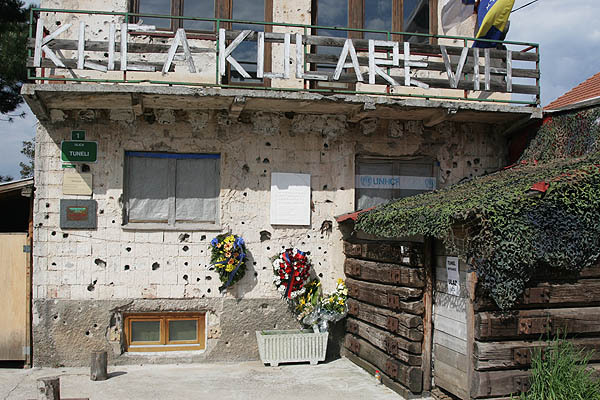 Sarajevo itself felt, to me, far safer than many cities I’ve stayed in. I guess that’s a good sign, right? One of our group, Sunny, had lived in the area for about two years, a few years ago, so he was in charge of getting us in touch with various organisations and helping us figure out when / where to do different things around town a bit; very useful! He also introduced us to some of his friends there, which was great. 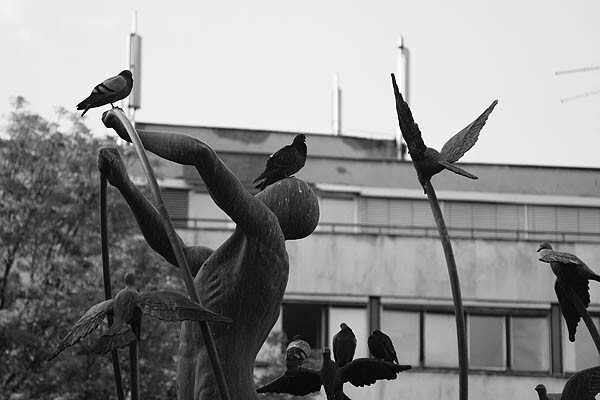 I didn’t take too many photos in the small city centre, not sure why, but I wasn’t particularly inspired despite the fact that it was quite a nice place. 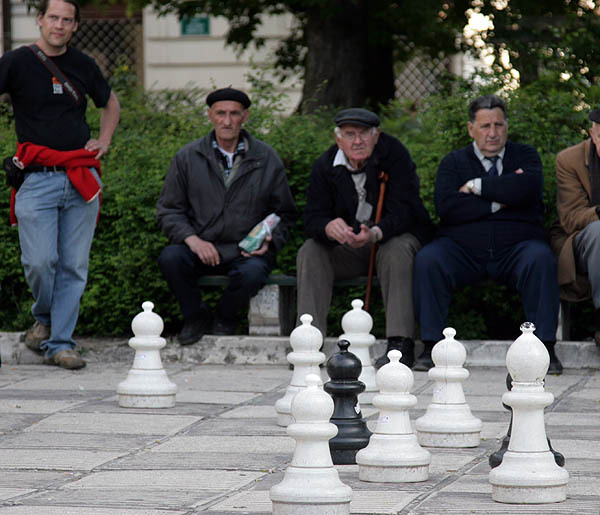 I did pull the camera out at the Cathedral Church of Nativity of the Theotokos, while watching a chess game for a few minutes. 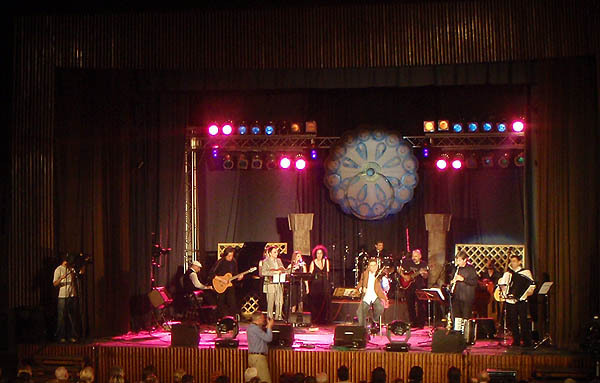 In the evening on the 9th, Sunny took us to a concert by a famous band called Mostar Sevdah Reunion. 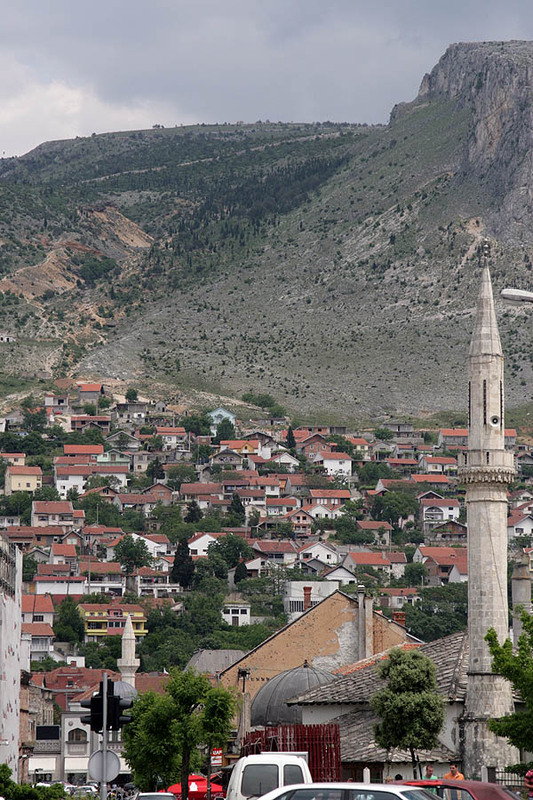 Mostar is a city a few hours away (next post!) 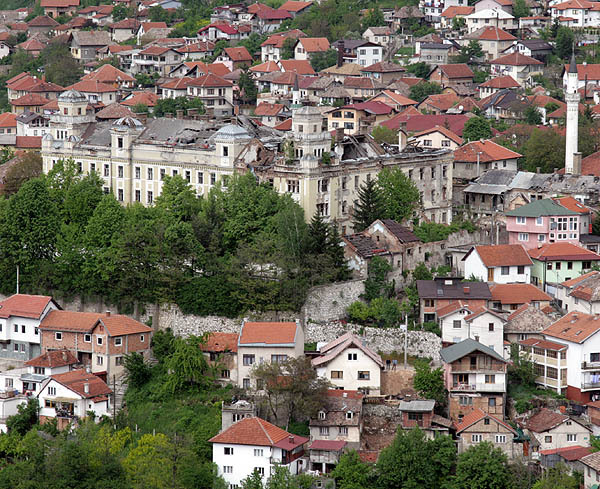 and Sevdah is the short name for Sevdalinka, a traditional style of folk music from Bosnia and Herzegovina (from now on, abbreviated to BiH) and popular all across the ex-Yugoslav states. I thought they were interesting, although the crowd was an older crowd so they were playing slower songs than their usual according to Emir, Sunny’s friend, who’s a big fan. 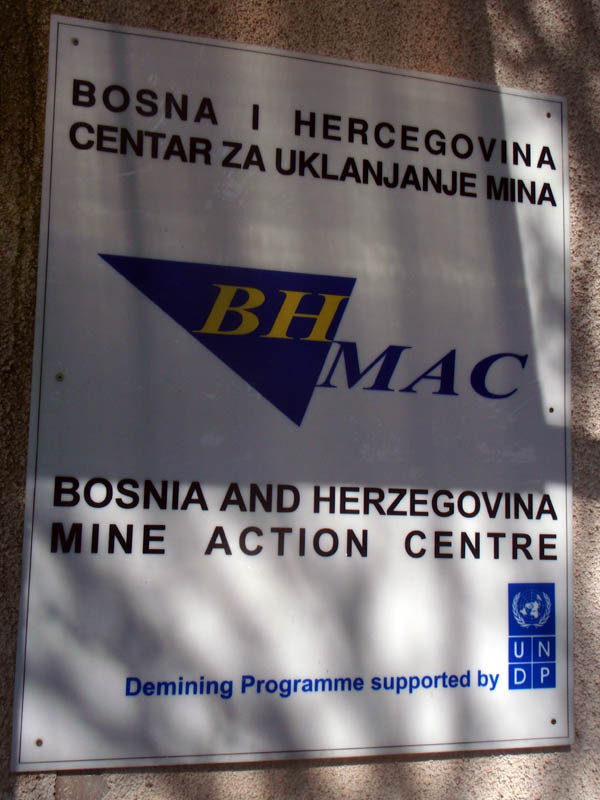 The next day we were up nice and early to visit BH MAC, the Bosnia and Herzegovina Mine Action Centre. 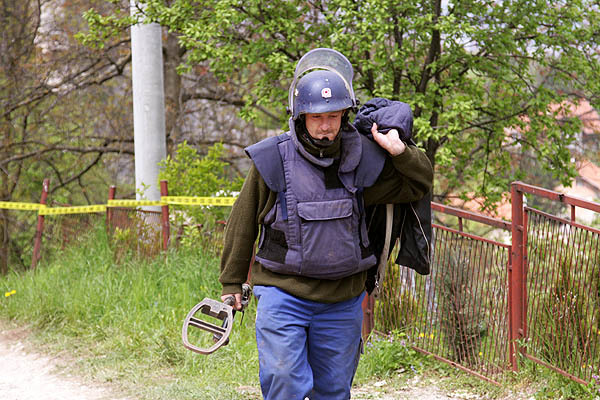 BH MAC is the government agency in charge of demining in BiH. 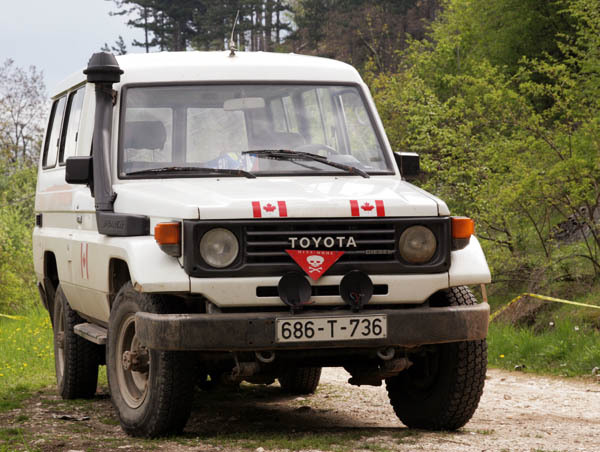 We had a short powerpoint presentation with info about demining progress and future projections, then we were off in two landcruisers to a demining operation on the hills around the city. 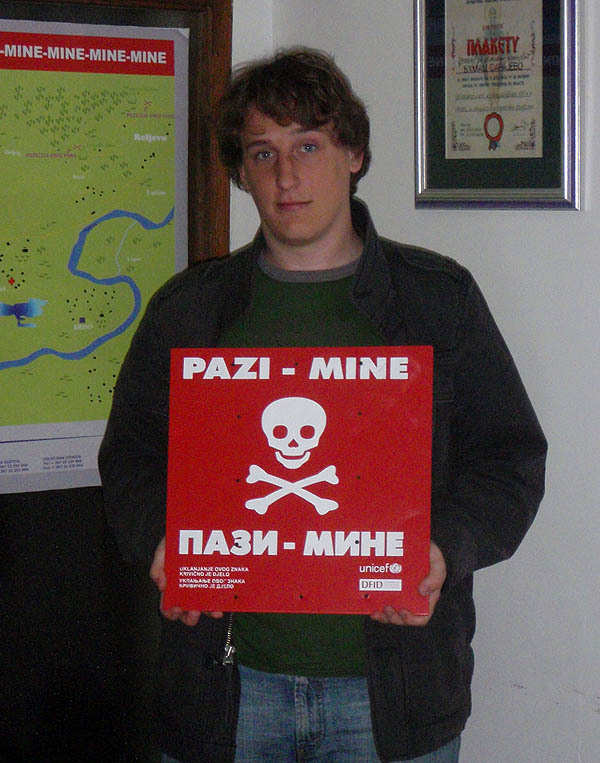 Greg thinks this sign belongs to him. It does not. 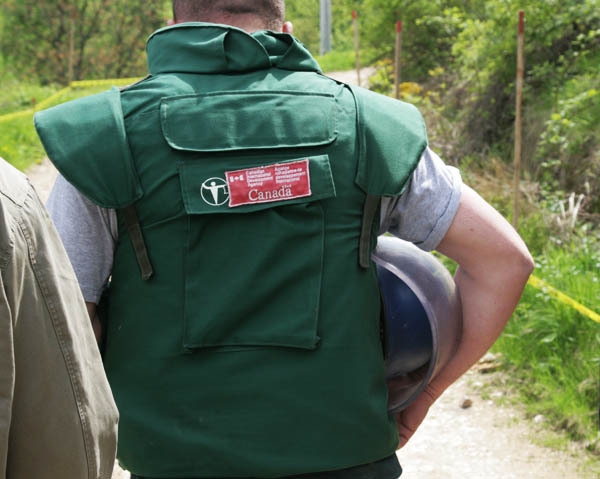 Turns out the Canadian International Demining Corps is involved in demining in BiH, with funding from the Canadian International Development Agency and donors are big on visibility so the Canadian flag was everywhere on this demining site, including helmets, protective vests; even the yellow tape that says “MINE MINE MINE” has red maple leafs and CIDC printed on it every so often. You can’t tell, but that’s a little maple leaf sticker on the front of his helmet. None of the deminers spoke any English or French, but they were quite happy to answer a LOT of questions through the BH MAC staff who acted as translators. They really know a lot about what they’re doing, which is a good thing considering the severe risk. Note the house behind them… yes, people live in the area again, but they know which areas are being demined across the road. The guys were on break and it was really hot outside, but two of them still kindly agreed to pose for a photo; they even put their heavy, hot gear back on for the photo! We also visited the International Organization for Migration (of which I am a big fan, and with whom I would love to work in the field somewhere) and the Research and Documentation Center. Sorry, no photos! But very interesting visits. 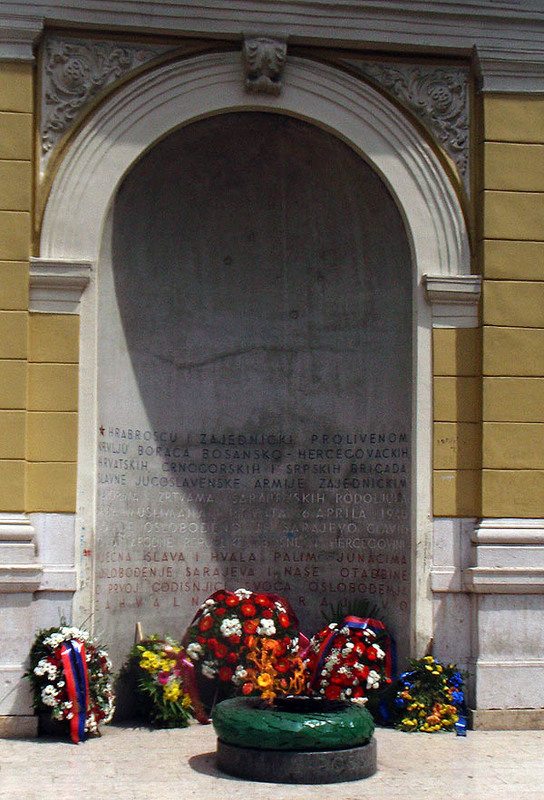 This is the Eternal Flame, a memorial to those who died during the Second World War in Sarajevo. 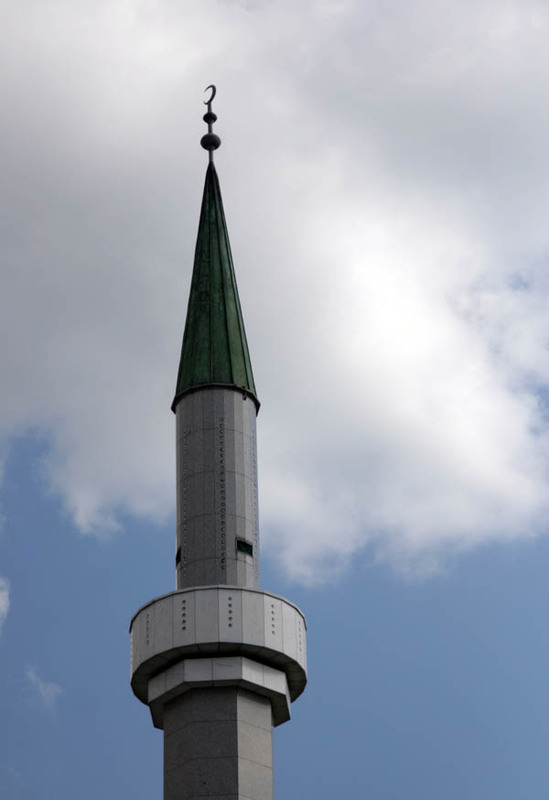 To highlight the fact that the three major ethnic groups in BiH (Bosniak Muslims, Serb Orthodox Christians, Croat Catholics) all got along just fine before the wars of the 90s, here’s the translation of the text on the wall behind the flame (pulled from Wikipedia, no idea if it’s a 100% accurate translation). On the 11th, Emir drove Sunny, Greg, Evelyn, and me to a restaurant way up a bunch of hills on the southwest of the city for brunch. It was quite good food, though it turned out to be very expensive too, big surprise for all of us. There was a great view of the city. 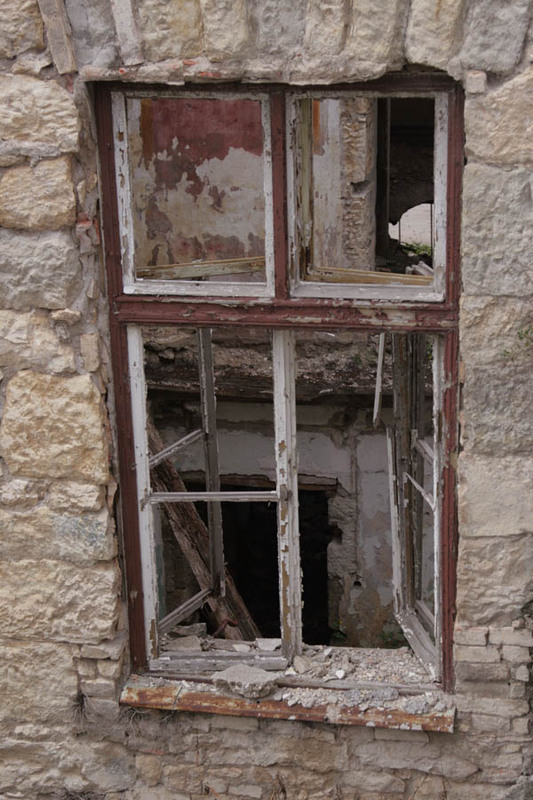 This building was apparently a prison before the war, and hasn’t been restored since it was bombed out from the hills above. At 2pm, Evelyn and I met up with Emmanuel and Sarah in town for a tour of some important areas during the siege of Sarajevo that lasted from 1992-1995 (3.6 years). 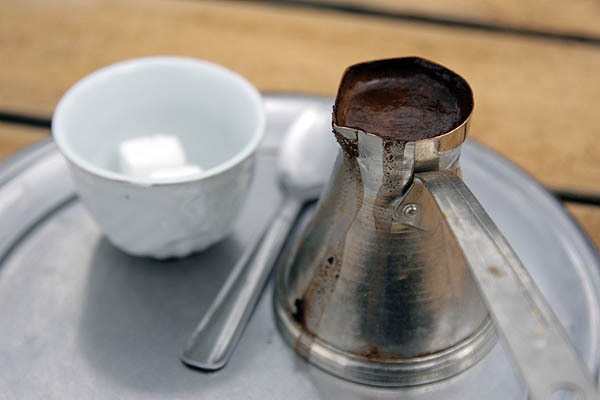 Sofia from the Swedish International Development Agency had suggested a particular guide, Zijad Jusufović, and I’m glad we did take her suggestion. 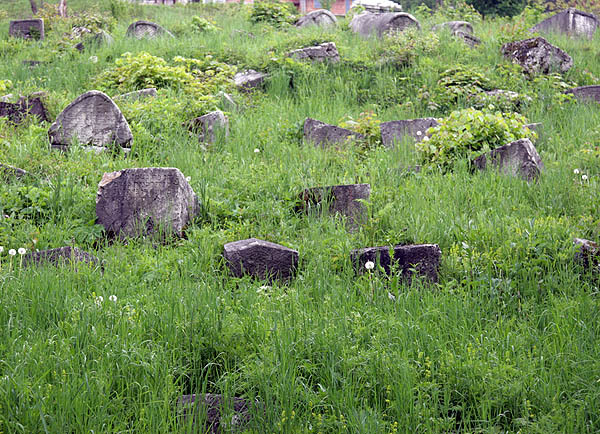 First, we visited the oldest Jewish cemetery in the area, with some tombstones dating to the 1500s according to Zijad. 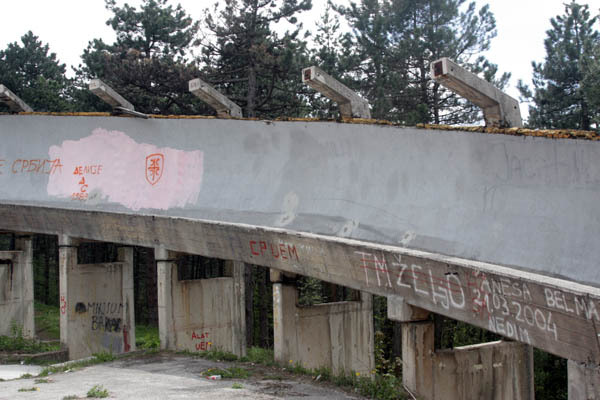 We then made our way to Trebević, the mountain where the 1984 Olympics bobsled / luge track was built, and destroyed during the siege. 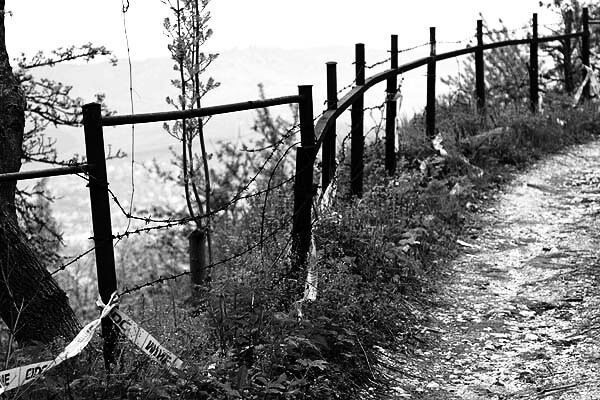 We stopped again later for a few minutes at a sniper position from which many people had been killed on the stretch of road that was nicknamed Sniper Alley during the war. This is part of the view from that point. 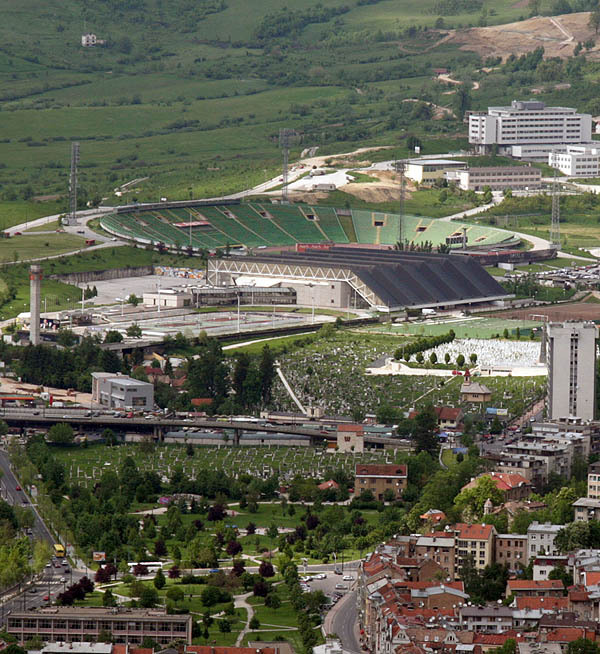 The Olympic Stadium with cemeteries in the foreground. 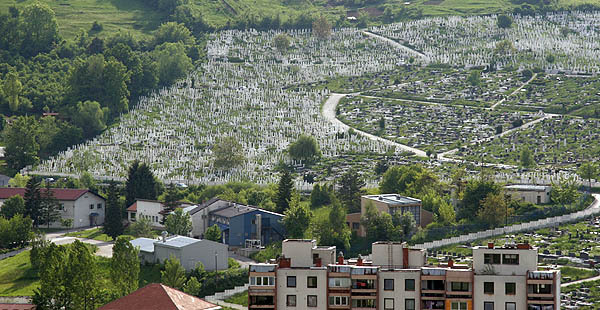 The largest cemetery is just off to the left, which you’ll see further on. 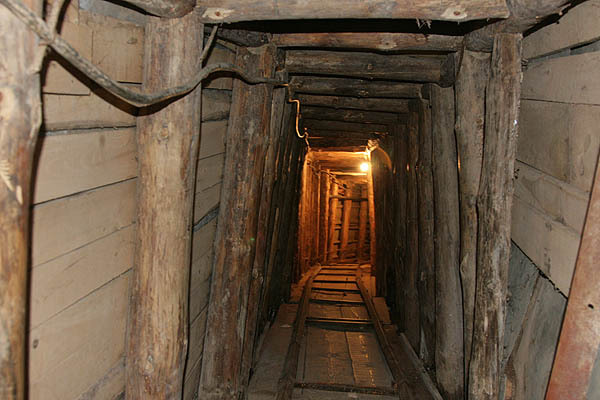 The family home, now also a museum, from which the tunnel began. 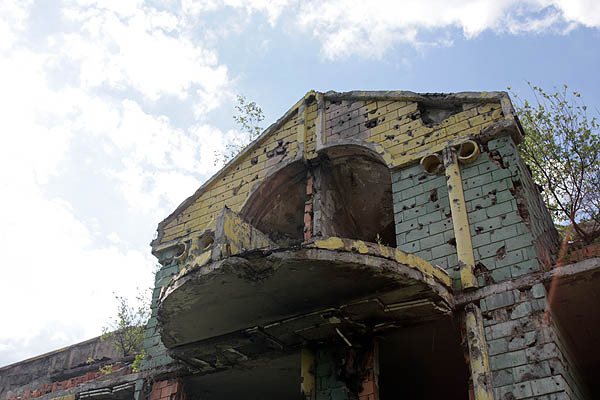 This is a retirement home that was opened shortly before the war began. 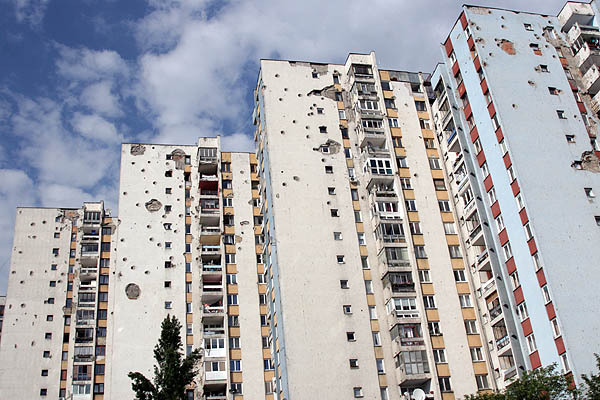 It was apparently the nicest in ex-Yugoslavia, but still lies riddled with bullet holes, half destroyed. 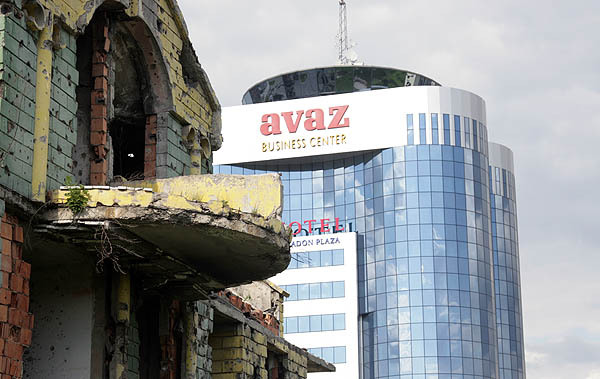 The Avaz Business Center, where the main newspaper has been based, with its revolving restaurant at the top. 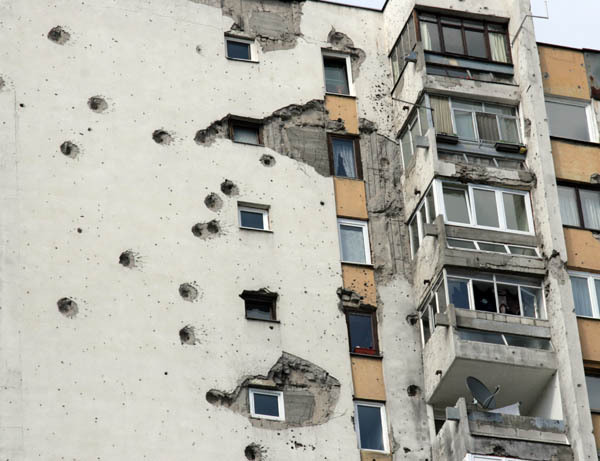 Note the size of the shell holes relative to the size of the doors/balconies/windows. 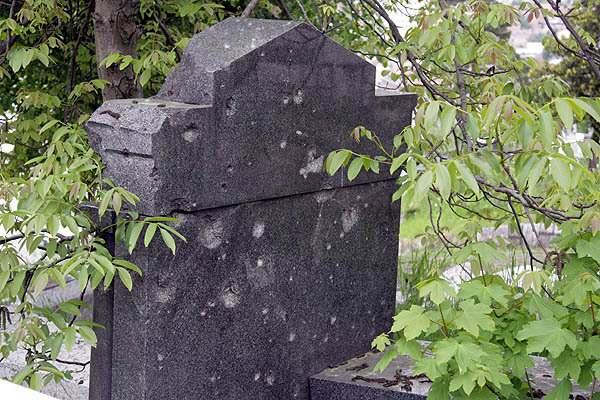 Those are not small holes. 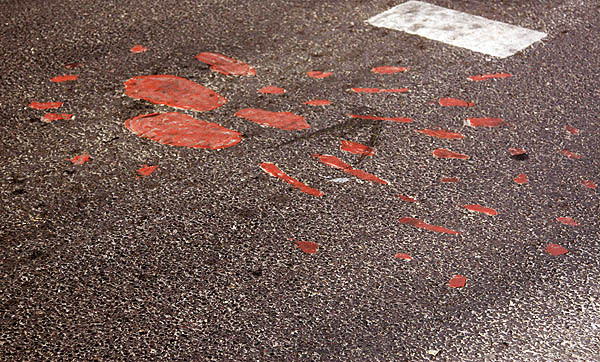 On Marshall Tito street, a Sarajevo Rose filled in with red rubber a few metres from the market where another bomb fell, killing 68 people in the single largest massacre of the siege, and wounding 144. 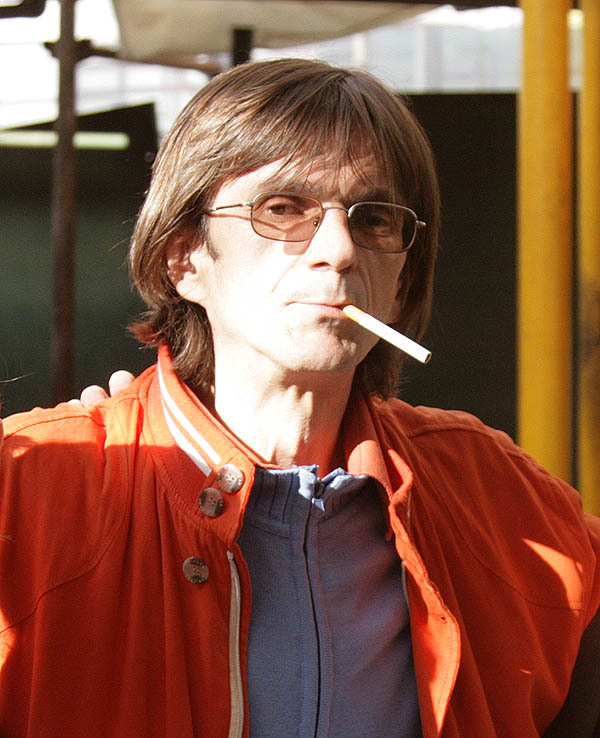 Our guide, Zijad Jusufović. Nice guy, crazy in a very good way, with some interesting reflections and answers to our questions. If you google his name, you’ll see that he’s pretty well known. Happier thoughts: food! 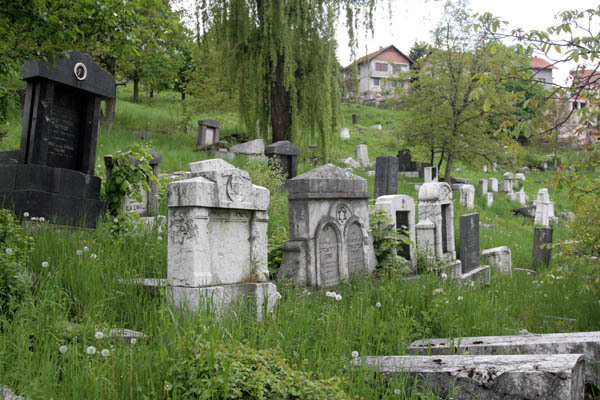 We asked Zijad where we should go to get quality, cheap, traditional Bosnian food. This is the food at the place he suggested – it was DELICIOUS! I could eat that almost every day! 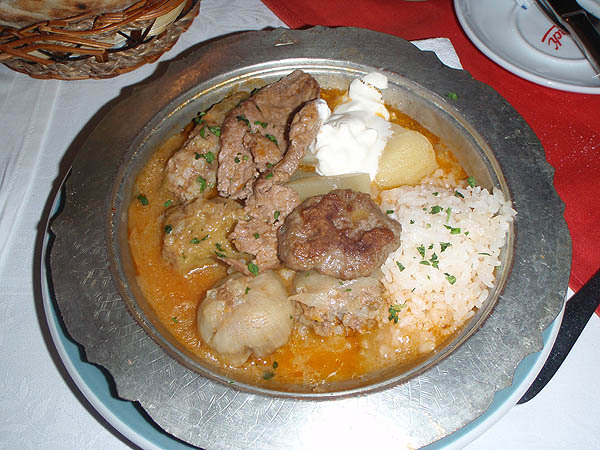 Onions stuffed with meat and other things, potato, rice, sour cream (crême fraiche? ), more meat rolled in cabbage (I dislike cabbage, but this was so well made that I actually really enjoyed it! ), and of course bread somewhat similar to naan. Soooo tasty! And it cost $6. 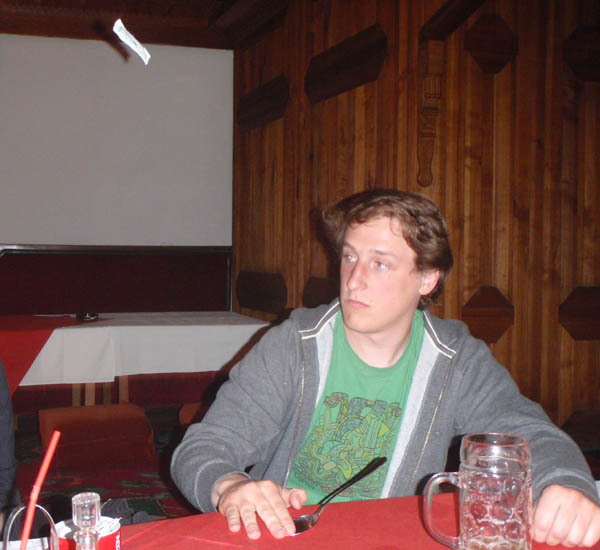 Greg amused himself by launching sugar packets at his tablemate. 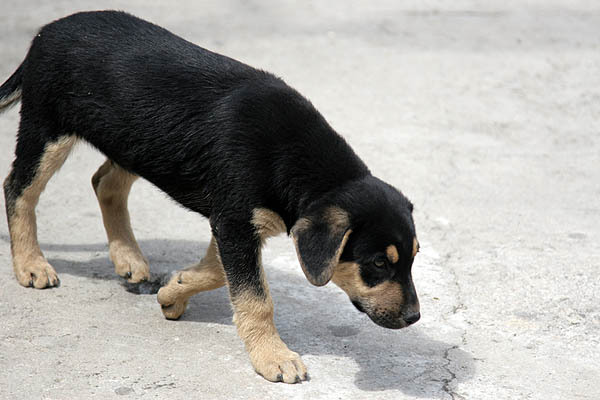 Look at his focus! And at the flying sugar packet! 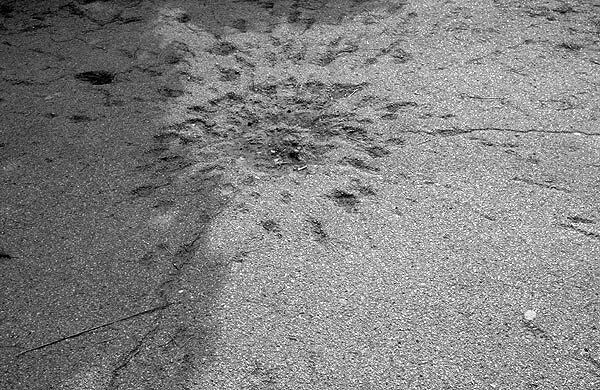 On Monday we visited EUFOR, the European military force whose responsibility is “to provide a military presence in order to contribute to the safe and secure environment, deny conditions for a resumption of violence, manage any residual aspect of the General Framework Agreement for Peace (aka Dayton Peace Accords) and thereby allow all EU and IC (Int’l Community) actors to carry out their responsibilities.” They were very friendly and had the best service of any organisation – not just coffee, but cans of pop, coffee, tea, water, cookies, and chocolate bars! And when we left, the Irish Sergeant who was taking care of us told us to take a bunch with us! Terrific! And of course, being the important people that we are, we made the news! Really! We then visited the International Commission on Missing Persons where their director, Kathryne Bomberger, really impressed us. Seems like a terrific and efficient organisation, and she comes across as extremely capable and knowledgeable, and of course super friendly! Next up we stopped by the Organisation for Security Co-operation in Europe, which was not terribly interesting for me, but partly because the day was growing long and I was lacking caffeine. After that, we went to the UNHCR where we had the best coffee out of the various organisations we had visited, and a very interesting presentation from two of their staff. I’d love to work for UNHCR in a field operation someday. 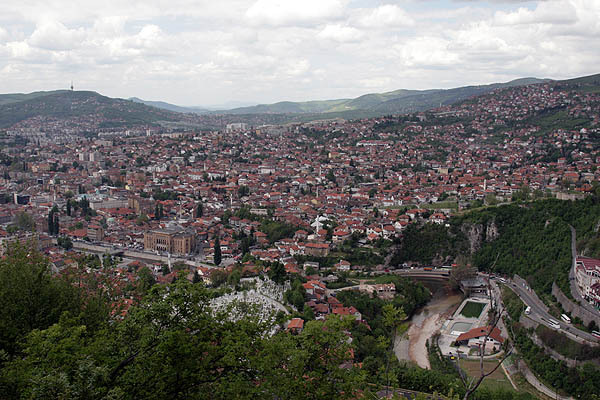 Well, that’s our trip to Sarajevo. And that was the SHORT version.